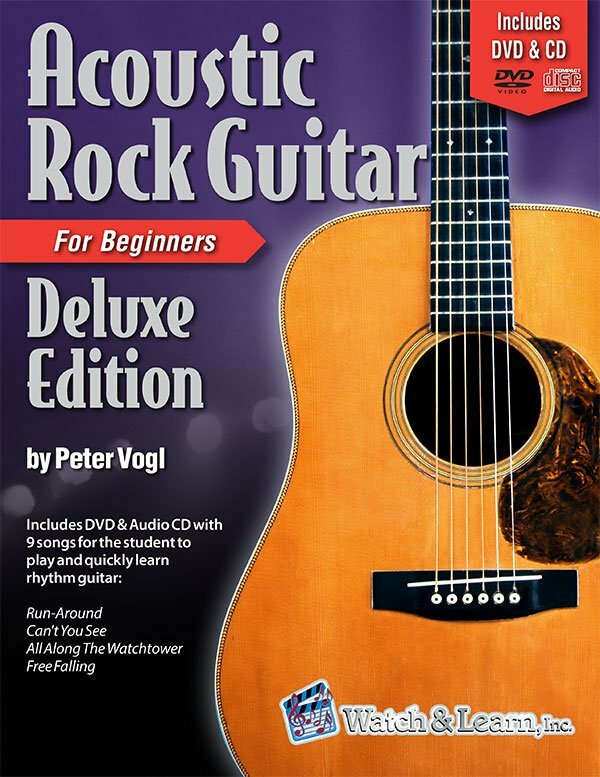 The Acoustic Rock Guitar Deluxe Edition by Peter Vogl is a course for beginning guitarists who want to learn how to play rock & roll on an acoustic guitar. The course starts off with the basics like how to hold a guitar, proper right and left hand technique, tuning, and playing notes. From there you will learn chords, strumming patterns, and other essential techniques. Finally, the student will learn how to play popular progressions and songs like Free Falling and All Along the Watchtoweralong with a full band.